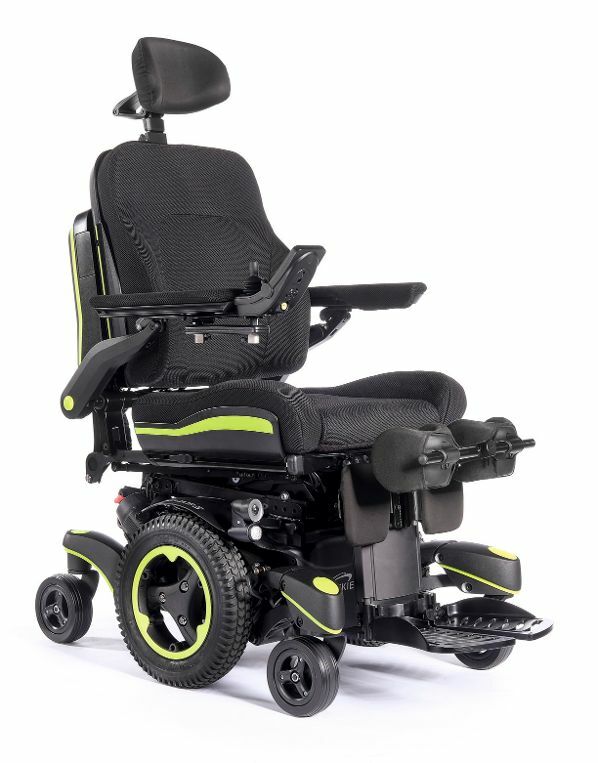 Providing the highest performance and most intelligent seating technology of all our QUICKIE powerchairs. Whether you want to drive off-road, at home, round the shops, lie flat or stand, the Q700-UP M enables you to do all this and much more. The Q700 M base is combined with our new biomechanical standing seating system. This means you can stand at up to 85° allowing you to interact with your friends face-to-face and access environments from new heights. The Q700-UP M also provides up to six programmable memory positions which can be tailored for your individual needs and wants, so at the touch of one button you can access your most commonly used positions. Find out more below. 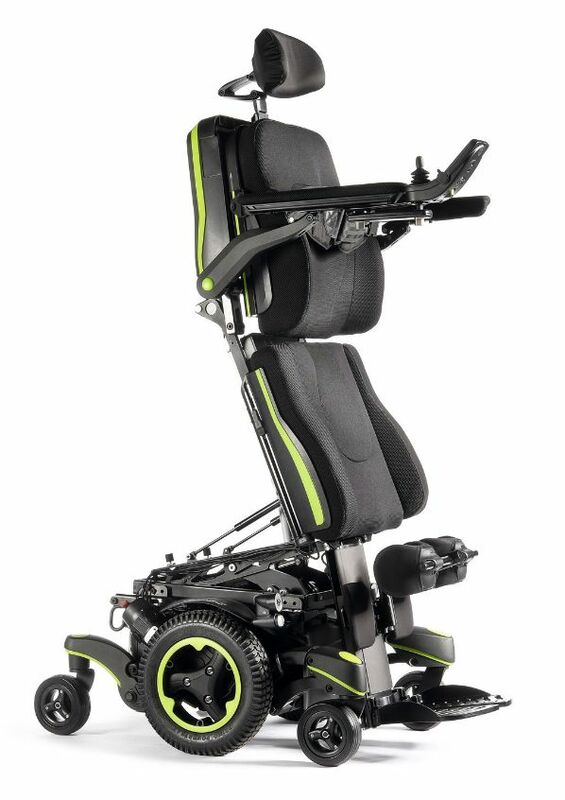 The Q700-UP M allows you to stand whenever you want and offers many benefits for your health and lifestyle. Improved pressure relief for those who may have limited ability to independently weight shift or have to sit for long periods. Enhanced function and ability to reach and access your environment. Improved range of motion and a reduction of the risk of contractures. Supports vital organ capacity including pulmonary, bowel and bladder function and improves circulation. Promotes bone health and reduces the occurrence of skeletal deformities by encouraging standing. Reduces abnormal muscle tone and spasticity. The QUICKIE Q700-UP M features a streamlined, minimalistic design contrasted with sleek, black bodywork. Make it personal with a seating system designed to fit you and a selection of six vibrant colour inlays and decals. Turning on its own axis, enjoy intuitive driving and excellent maneuverability in tight compact spaces with its narrow (620 mm) base and a 1260 mm turning circle. Also, easily sit under tables and access Wheelchair Adaptive Vehicles (WAVs) with a low seat height from just 445 mm. Climb kerbs of up to 100 mm (4″) and enjoy a stiffer, more responsive ride with the revolutionary SpiderTrac™ 2.0 suspension. With its independent movement of all six wheels, the front and rear wheels give it the ability to crawl up and down steep obstacles whilst keeping all 6 wheels on the ground – even when ascending gradients of up to 10 degrees. Plus, you’ll also stay in control and maintain stability on kerbs and slopes with QUICKIE’s patented anti-pitch system. The optional Gyro-Tracking System automatically detects and corrects the smallest deviation from your direction. By providing a pin-point accurate drive, it’ll reduce the number of physical or cognitive actions required to keep your electric wheelchair on-track – making for a less-demanding drive (especially when using special controls). Enjoy power and speed at your fingertips with the 4-pole high torque motors. Choose from 6 or 8 kph as standard, or upgrade to 10 or 13 kph (low torque) for the ultimate performance. Plus, with a choice of 60 Ah or 80 Ah batteries, you can maximise your range of up to 25 miles (40 km) and experience outdoor performance like never before! Style, it’s a personal thing – that’s why you have a choice of 6 vibrant colour in-lays to suit your personality. 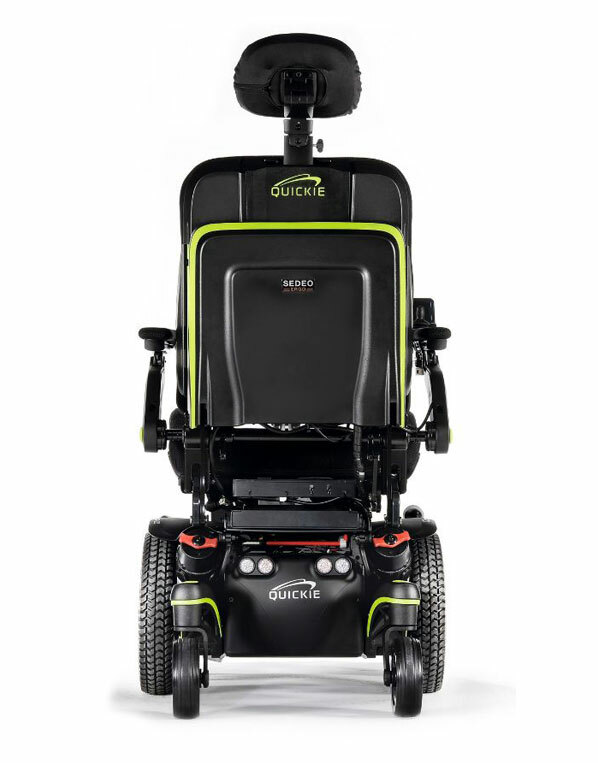 With hidden wiring and components combined with sharp-tailored upholstery, it’s a powered wheelchair that provides a truly sleek and minimalist silhouette from every angle. Inspired by its design and want something extra? The Built-4- Me customisations team can tailor your power wheelchair into a striking expression of you. The premium headrest can easily be adjusted or removed. All seat widths and depths are infinitely adjustable with just one tool. Also, the seat and backrest width can be adjusted independently of each other. Even the armrest height and angle are simple to adjust too. Transitioning in and out of recline doesn’t need to be uncomfortable. The SEDEO ERGO’s power recline is supported by 7″ of anti-shear to better maintain the positioning of the headrest and chin control during recline. Moving out of a reclined position often requires the use of the tilt function to regain your proper seated posture. With the patented bio-metric repositioning, when you move from reclined to seated, the SEDEO ERGO will first pass through an intermediary tilted position, using gravity to realign your pelvis in one smooth, effortless motion.